The sound you are about to hear is one that fascinated me the first time I took a walk in Bidwell Park. 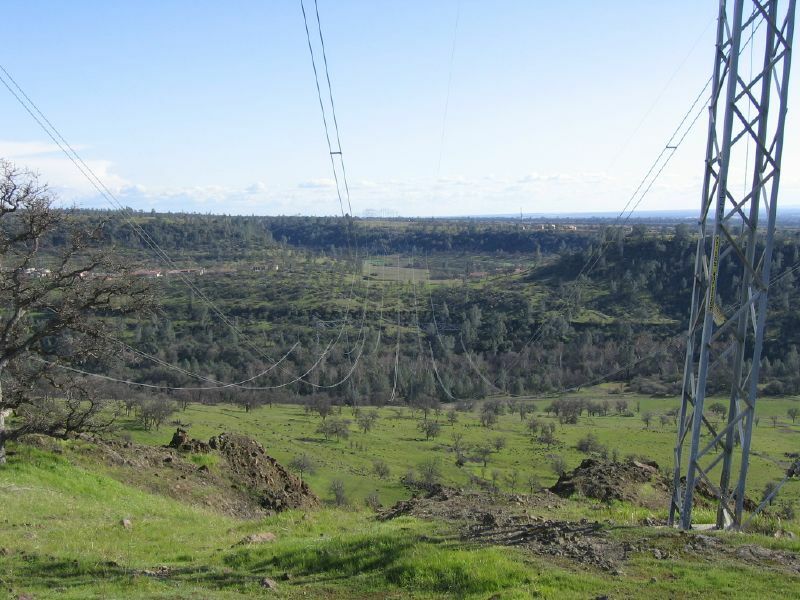 In January I recorded it, reported to be the third largest urban park in the US, Bidwell Park is located within the city limits of Chico, CA near “Lake” Oroville and the Oroville Dam whose power travels along said lines. The crackling that is heard is an effect called corona discharge [Wikipedia] and is caused by the interaction of power and humidity or other particles in the air surrounding the lines (as I understand it). As you can hear the city of Chico is on the right side of the image, it is somewhat heavily rolled off to provide a more pleasant listening experience. Wow, this sounds like music to me.